Fighting piracy, or removing freedom? Who's got the most oppressive internet censorship in the world? If you answered USA! USA! USA! you've clearly been listening to Google. 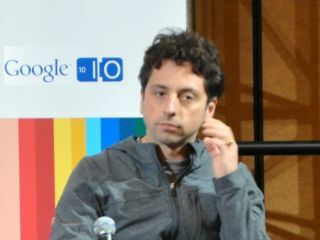 Writing about the proposed Stop Online Piracy Act (SOPA) and Protect-IP Act (PIPA), Google co-founder Sergey Brin expressed his disappointment that "the newest threat to free speech has come from none other but the United States". Brin – and pretty much every other tech exec – is worried that in the name of fighting piracy, SOPA and PIPA will have terrible consequences. The acts would "give the US government and copyright holders extraordinary powers including the ability to hijack DNS and censor search results (and this is even without so much as a proper court trial)," Brin says. He's not the only high profile figure speaking out against SOPA and PIPA: other critics include Netscape founder Marc Andreessen, Twitter's Biz Stone, YouTube's Chad Hurley, Jimmy Wales from Wikipedia and Yahoo founder Jerry Yang. Jimmy Wales is threatening particularly extreme action: he's planning to blank every page on Wikipedia US as a kind of virtual sit-in. Wales says that the tactic has already been tried in Italy and worked very well: "A few months ago, the Italian Wikipedia community made a decision to blank all of Italian Wikipedia for a short period in order to protest a law which would infringe on their editorial independence. The Italian Parliament backed down immediately." However, we can't help thinking that since Wikipedia started plastering Wales' and his colleagues' sad faces on every page, the prospect of a Wikipedia blackout might seem like quite a good idea. Critics of SOPA aren't necessarily pro-piracy. Their concern is that SOPA and PIPA are bad laws with potentially disastrous consequences for legitimate websites. For example, some readings of the legislation suggest that the whole of Wordpress.com could be blocked because of the actions of a single blogger. The legislation could be particularly bad news for social media sites where users upload videos, post links or contribute other kinds of content: as Reddit founder Alexis Ohanian said in a YouTube video, the legislation "threatens not just our internet but our livelihoods." While the tech industry argued about how best to fight piracy, US comedian Louis CK has been taking matters into his own hands. He's recorded, edited and published an HD recording of his latest show and made it available online for the princely sum of $5 (about £3). In a message to would-be pirates, CK wrote: "To those who might wish to 'torrent' this video: look, I don't really get the whole 'torrent' thing. I don't know enough about it to judge either way. But I'd just like you to consider this: I made this video extremely easy to use against well-informed advice. I was told that it would be easier to torrent the way I made it, but I chose to do it this way anyway, because I want it to be easy for people to watch and enjoy this video in any way they want without 'corporate' restrictions." Did it work? The video turned up on The Pirate Bay almost immediately, but the busiest torrent is still fairly quiet: at the time of writing there are 520 seeders and 47 leechers, which is fairly small potatoes for a well-publicised release. Meanwhile Louis CK has sold more than 110,000 copies of the video, which means he's already made a profit of around $200,000 (£120,000). The big question over Louis CK's experiment is whether the same approach would work for anybody else. CK is a fairly high-profile comedian with a lot of loyal fans, which means – like "pay what you like" MP3-floggers Radiohead – there's a fairly large built-in audience for his work. It's definitely worked for CK, though: as he says on his website (language may offend): "at this point I think we can safely say that the experiment really worked. If anybody stole it, it wasn't many of you. Pretty much everybody bought it. And so now we all get to know that about people and stuff. I'm really glad I put this out here this way and I'll certainly do it again."